The former first lady of the Philippines has become an icon of popular ridicule since the 1986 People Power revolution brought an end to her "ridiculous dreamworld." That world is captured here in its empty glitter, but Ellison, bureau chief of Knight-Ridder newspapers in Mexico City, is primarily concerned with showing how the Steel Butterfly made comic opera out of a historic opportunity for greatness: "an act of selfishness far uglier than any shopping binge." 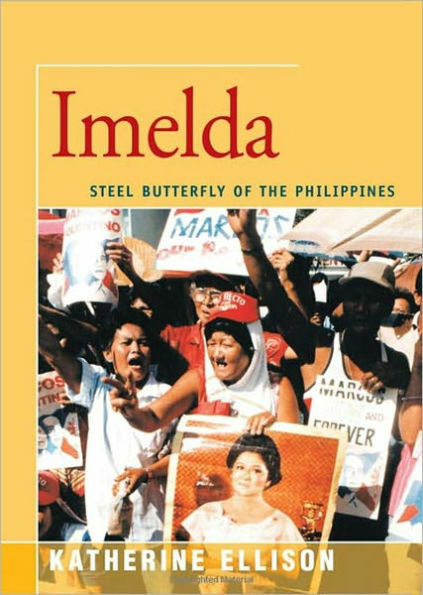 Tracing her lonely, traumatic upbringing in Leyte, her fabled courtship by Ferdinand Marcos and her role in his rise to the presidency, the author describes how the first lady gradually traded in a fairytale dream of romance for a dream of power. When the dream became a reality, she used that power for self-glorification ("Look! Look how the people love me."). This well-researched biography sheds new light on the Manila-Washington connection, the career of Benigno Aquino and his self-effacing wife Corazon, and Ferdinand Marcos' "creative diplomacy," which apparently included using his wife as a sexual lure. "Katherine Ellison has a reporter's zeal for finding the story within the story. Her book is full of surprises. Madame is exhibited with all her diamonds and all her warts in what emerges as a modern geopolitical morality tale." "The research here is superb, the writing is gripping and graceful."